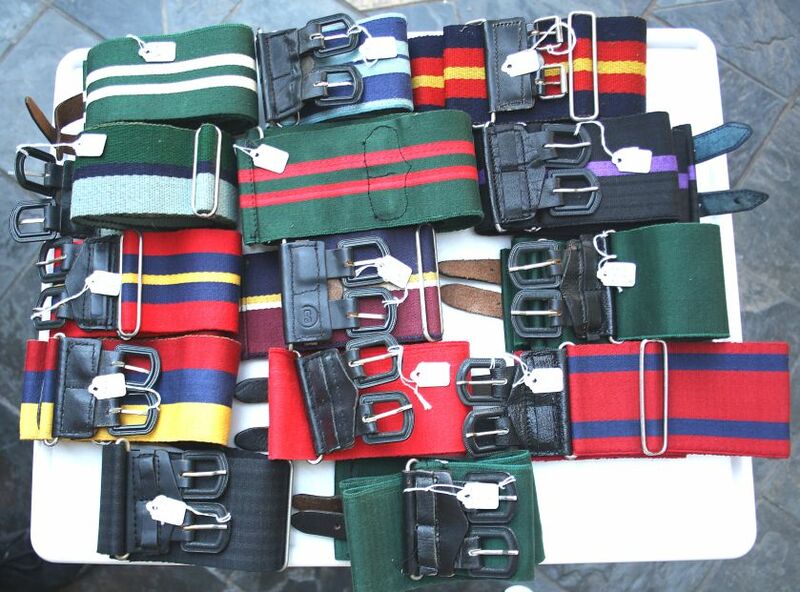 Most militaria collectors - particularly if they have an interest in uniform, will have a few Stable Belts from different forces. However, there are many units and with amalgamations the numbers can quickly mount. This makes it difficult to build-up a complete collection. Rhodesia was different - they had most of the Corps , Units and Regiments that you would expect with a British based Colony but in smaller numbers that allowed collecting. You also have the interest in the Imperial period up to 1965 and then the U.D.I. period to 1980. Some, of course, did not change - those that had a Crown or, Insignia did. 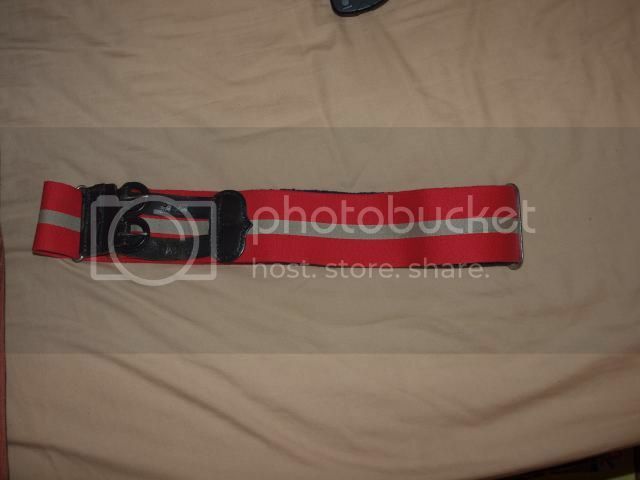 I recently bought a collection that has most - but not all - of the stable belts in use. For reference I will show them here - and there are a couple I can't identify. They are all for sale - however, I won't put them on the Sale section - too limited in their appeal. Should anyone be interested in any IM me. I always use Col. Dudley Wall's Books on Rhodesia Units for ref. - he was a personal friend, but is now in the UK. He has also done ref. books on Sth. 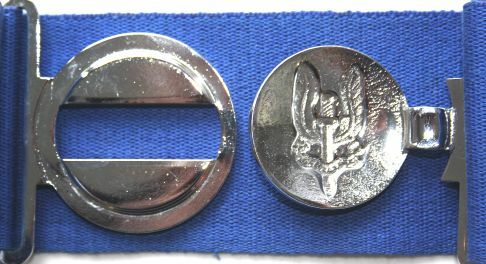 African Badges and British. A NICE SET OF RHODESIAN AFRICAN RIFLES + 2 AND 3RD. BNS. NOT SURE ABOUT THESE - WOULD APPRECIATE ANY SUGGESTIONS ? Any possibility that the Brown/Red/Brown is INTAF? Timothy - as far as I have been told - Intaf did not have a belt. Certainly I haven't been able to find a ref.. Perhaps it was thought to be too military. 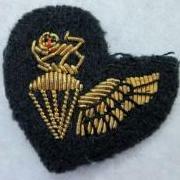 The other unit that didn't have a stable belt was the BSAP. Fair enough - this was nothing more than an educated guess based on the colour scheme. 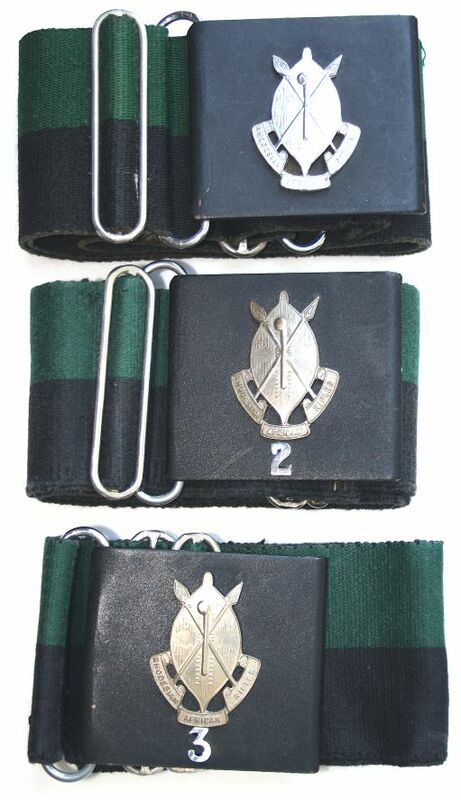 The second unidentified belt is Rhodesian Intelligence Corps - no doubt about this one. Looking further it seems the brown and red belt is Guard Force. Excellent Tim - thankyou. Guardforce - with that colour scheme would seem very likely. I'll try to get confirmation. Don't know why I didn't pick-up on the Intelligence Corps - badge was a bit shiny and I didn't check further. The Intel. 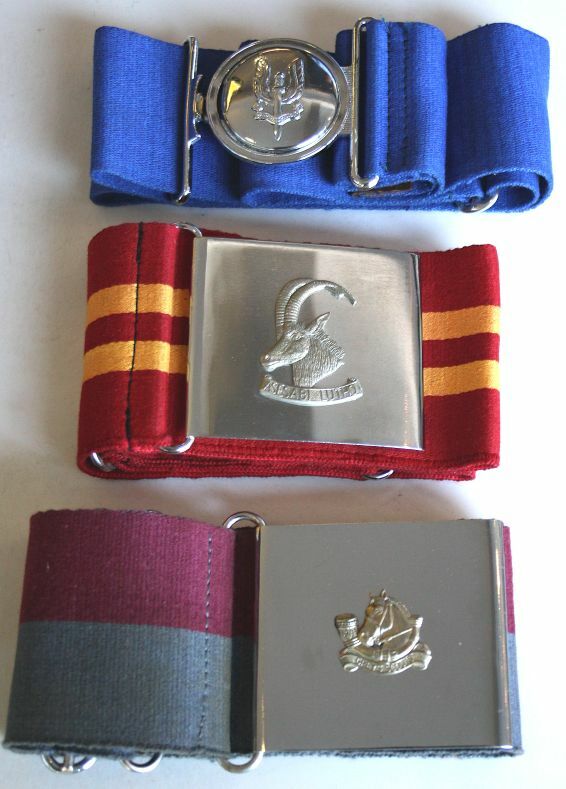 Corps badge is one of the rarest for UDI period and is expensive - this makes the belt just as good - so thankyou again ! 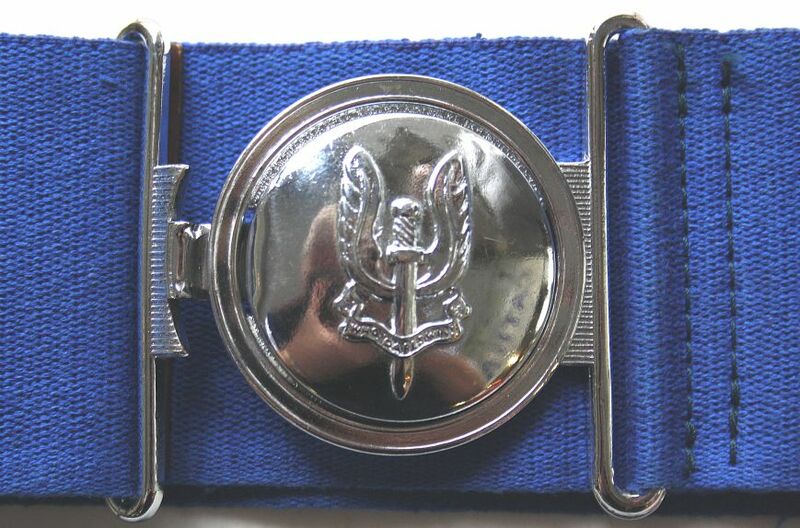 One of our members has shown interest in the SAS belt and has asked for further pictures. I thought I would post them here to show the full construction of the belt. I run the Empire to Commonwealth Project - and I'm after an image of the Chaplain's Corp belt. I wonder if you could send me a photo of it, please? However ... I wonder if I could have a set of your images - as your belts show the buckles as well - would that at all be possible? I ALWAYS credit and would be pleased to link to a web page of your choice. Dear Fr. Anthony - firstly, welcome to GMIC - you obviously have great knowledge and will be a welcome member. I will have the Chaplain's Stable belt photographed and will post a picture. You can probably take the images you require directly from my posts - if not please give me an email address. You will know that anything to do with Chaplain's is fairly rare - we do have access from time to time - I will let you know. The RhSAS stable belt is 1st issue. Comparison photos & descriptions can be seen here. 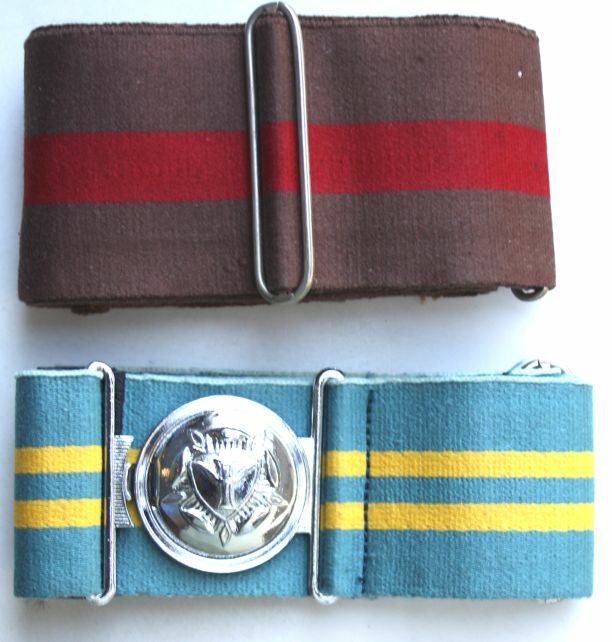 Mervyn - I was a member of Internal Affairs on National Service and they did have a stable belt. It wasRed/off White/Red. Absolutely and the above stable belt is an excellent example. BSAP had a leather belt with brass buckle and I believe a white belt with silver buckle but no stable belts. Stand to be corrected as BSAP is not my area of collecting.